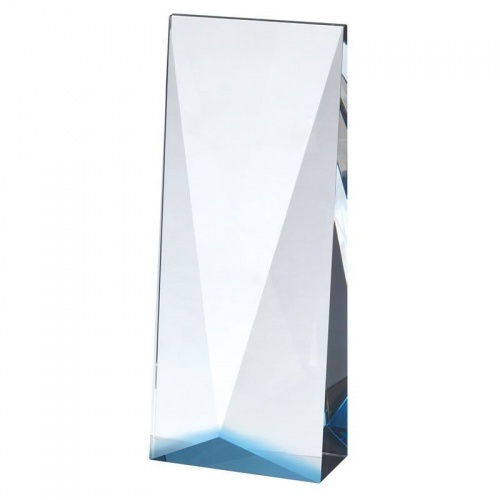 A superb award from any angle, these 8in tall clear glass awards are finely crafted in optical crystal and have a multi faceted design. The optical crystal refracts light as it passes through the various planes created by the multi faceted design. These heavy crystal awards are 2in thick at their deepest point. 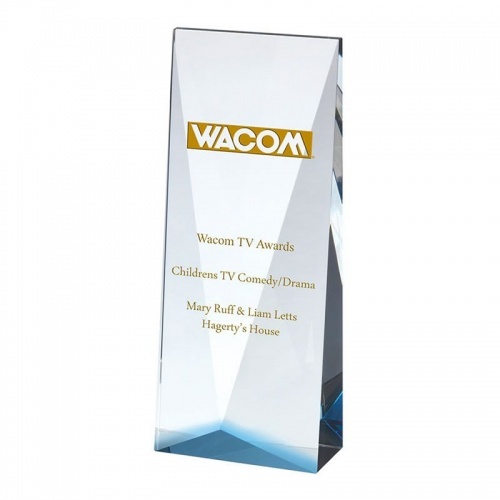 They can be engraved to create a quality recognition or achievement award. Engraving will appear on the flat front of these awards. 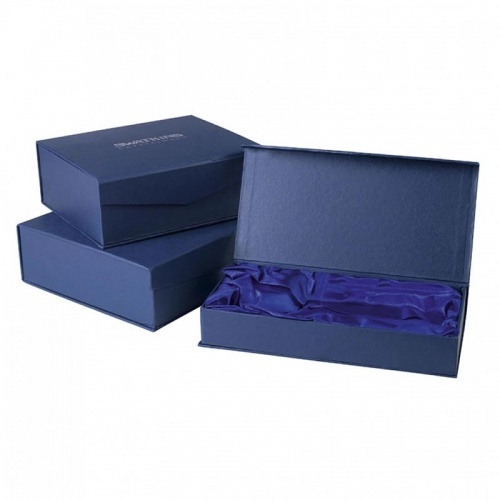 The awards are supplied presentation boxed.